Lock in a great price for Sol Pelicanos Ocas - rated 8.5 by recent guests. When we go there to check in it was good that we could upgrade to all inclusive the food and the location was very near to everything. Nice and clean and well located! Rooms very nicely decorated. All round fabulous experience, would recommend this hotel to all. Lovely variety of food and drink especially for those with food intolerance conditions. Staff were brilliant and extremely polite, nothing was too much trouble. Rooms were clean and the maid service was excellent. All in all a great holiday in a wonderful hotel. It's prime location. You don't need a taxi anywhere. 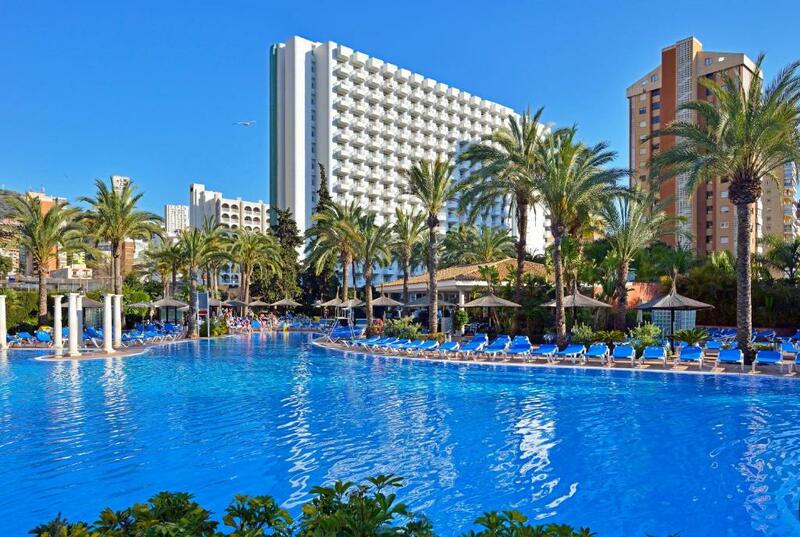 One of our top picks in Benidorm.Sol Pelicanos Ocas is located in Benidorm’s Rincon de Loix district, 350 yards from Levante Beach. It offers 5 swimming pools, including a palm-lined lagoon-style pool. 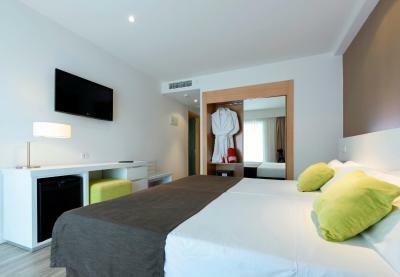 The rooms feature seasonal air conditioning, satellite TV and a private balcony. 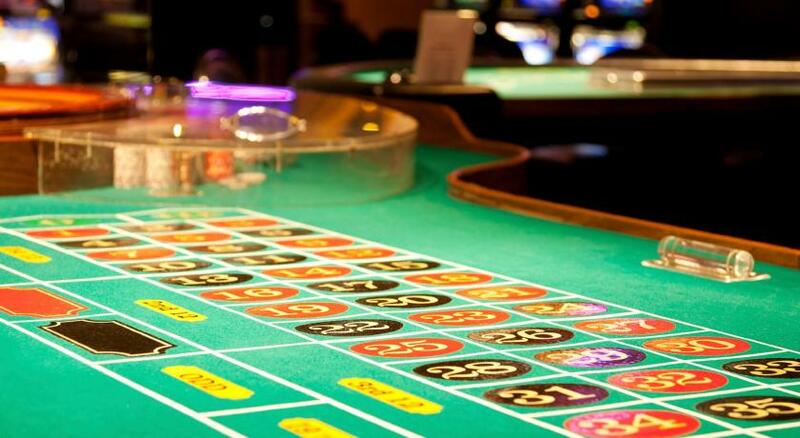 The hotel’s 2 themed buffet restaurants serve international food, as well as local cuisine. There are also 2 snack bars and during summer you can get a drink from the 2 poolside bars. There is an entertainment programme for the whole family, including live shows in the evening based on musicals, sports competitions and workshops. There is also a miniclub and 2 children's pools. Staff at the hotel’s 24-hour reception can provide information about what to see and do in Benidorm and the Costa Blanca. There is also a gift shop and a car rental service. 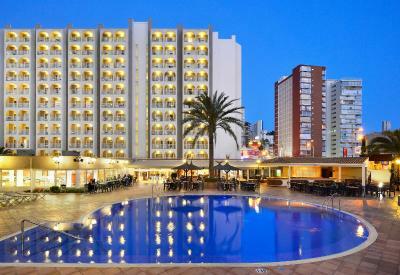 This is our guests' favourite part of Benidorm, according to independent reviews. Sol Pelicanos Ocas has been welcoming Booking.com guests since 23 Sept 2006. 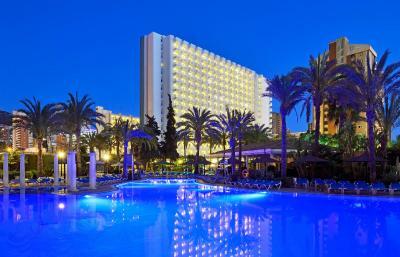 When would you like to stay at Sol Pelicanos Ocas? 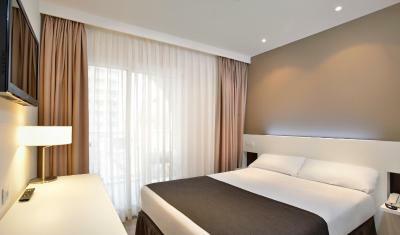 Available with twin or double-beds, this air-conditioned room features satellite TV and a private balcony. Public parking is possible on site (reservation is not needed) and costs EUR 18 per day. 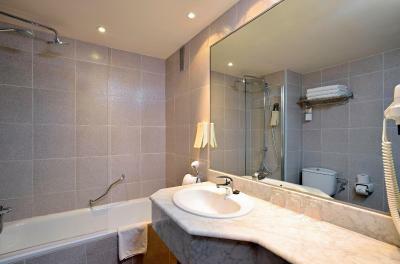 This air-conditioned room features satellite TV and a private balcony. 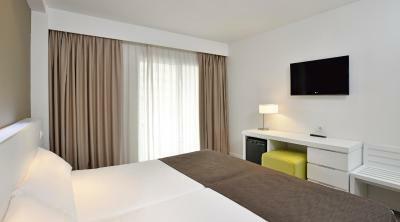 This more spacious, air-conditioned room features stylish modern décor. 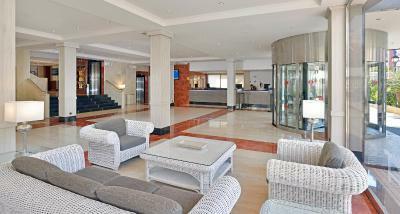 It offers an LED TV with satellite channels, a private balcony and a mini-fridge. These rooms have an LED TV, a mini-fridge and a bathroom. A safe is available for a supplement. These rooms have an LED TV,, a mini-fridge and a bathroom. A safe is available for a supplement. These rooms come with a TV, a terrace and a private bathroom. These bright rooms have a terrace with views of one of the hotel's swimming pools. They come with a TV and a private bathroom. 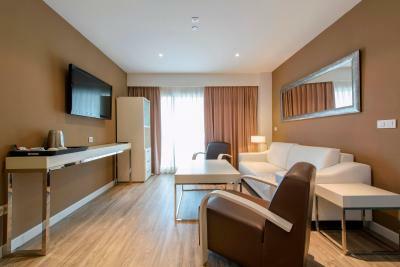 This twin room features a balcony, air conditioning and satellite TV. House rules Sol Pelicanos Ocas takes special requests - add in the next step! Sol Pelicanos Ocas accepts these cards and reserves the right to temporarily hold an amount prior to arrival. Please note that the miniclub requires a minimum of 10 children to open. Please note that the all inclusive service is from 10:00 to 00:00 daily, except from the day of check-out when it ends at 12:00. Different policies and additional supplements may apply for group reservations. Please note the Security box and the mini fridge are available at an extra charge. Please note that air conditioning is available from 01 June until 30 September. Please note that the from 13 November 2017 until 7 March 2018, the pool area of the Pelicanos building will be closed for refurbishment. Guests will be able to use the pools at the Ocas building. From 8 January 2018 until 1 March 2018 the whole Pelicanos building will be closed for refurbishment. Guests will be accommodated in the Ocas building. Expensive to upgrade to all inclusive as drinks became expensive! Also no table water at evening meal! Full Of Very Loud English. Occasionally the lift was out of order, not bad when going down five floors but not the best climbing up again! The food in September was excellent but the good in April was very underwhelming. The pool bar was closed in the morning so I went to get water and was told I could not bring it to my chair as there was a pool bar. I explained it was closed but I was told to take the water to my room.